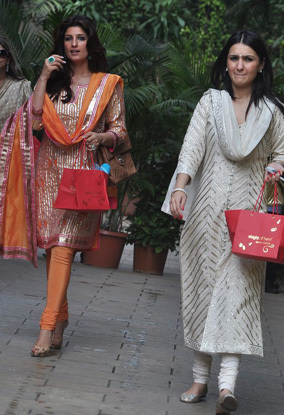 Aishwarya Rai Bachchan’s star studded Baby Shower! 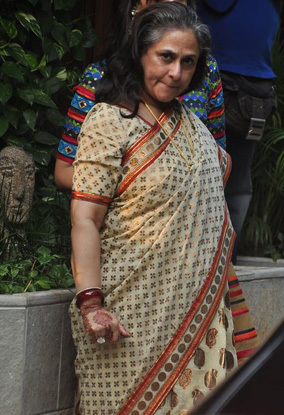 Jaya Bachchan held a baby shower for her pregnant daughter-in-law Aishwarya Rai Bachchan on Tuesday 18th October at their residence in Mumbai. 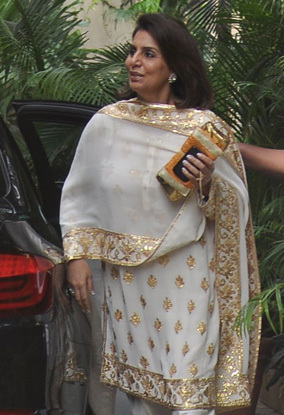 Stars such as Bipasha Basu, Saira Banu, Twinkle Khanna, Sonali Bendre, Urmila Matondkar, Manyata Dutt, Asha Parekh and Karan Johar attended the baby shower, which in true Bollywood style featured singing and dancing. 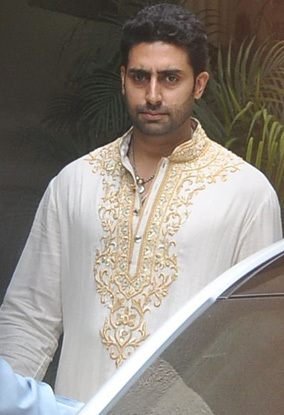 Fashion wise the stars opted for Indian attire with many stars opting for white and gold outfits. Aishwarya Rai Bachchan, who is expecting her first child in November, opted for an orange Indian outfit and had makeup artist Mickey Contractor on hand getting the star ready on the day. 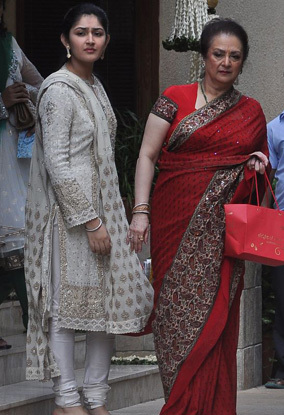 Guests reported that Aishwarya was glowing with a mother-to-be glow surrounding her. Amitabh Bachchan could not attend the event as he is currently shooting for his latest Hollywood movie in Australia, The Great Gatsby. 16 queries in 0.632 seconds.